Follow Fit Stop Physical Therapy on Facebook! Answer – they’re the most-often said sentences in a physical therapy clinic from our balance patients! Did you know that PT’s not only treat vertigo, but it is actually one of the few conditions out there that is treated extremely effectively and quickly if diagnosed and treated correctly. Today one of our balance specialists, Toby Bluth, PT, DPT, explains what this condition is and how physical therapists can help eliminate the annoying (and sometimes outright dangerous) symptoms that come along with it. BPPV stands for “Benign Paroxysmal Positional Vertigo”. Let’s break this down to understand it a little bit better. Benign means that, besides causing a very unsettling sensation, the brief bursts of vertigo that come and go are actually harmless. Paroxysmal means that the vertigo comes and goes. The spinning usually only lasts for 10-20 seconds and then subsides. Positional means that the onset of symptoms depends on the position of your body. It means that the vertigo only hits when your head goes in and out of certain positions (usually rolling over in bed, getting in/out of bed, or looking up at the ceiling). And finally vertigo is a sensation that makes you feel that the world is spinning around you, when in reality you may be just sitting/standing still. This is a very uncomfortable feeling and is often accompanied by nausea. We don’t really understand why some people develop BPPV. Theories are related to trauma to the head, infection or the aging process. However, the core of the problem comes down to small little crystals (canaliths) that break free from an area in the inner ear (utricle), and move into a fluid filled canal ( semicircular canals, also in our inner ear), where they should not be. When we move our head in/out of certain positions, once we stop our movement, the crystals keep moving through the fluid in the canals which gives the body the sensation of movement. In reality the body is not moving at all (vertigo). Eventually the crystals come to a rest (as mentioned before, after around 10-20 seconds) and the vertigo goes away. So what can be done about this annoying little crystal issue? It is amazing that something so small can cause such a big problem. I think it is very important, especially for the older crowd, to address the issue with treatment, because these brief bursts of vertigo can increase the risk of a fall. Falls in the elderly are never a good thing. A lot of patients that are struggling with this issue start with some sort of vestibular suppressant medication. Though this can initially take some of the edge off the symptoms, it does not get to the root of the issue. The meds simply serve as a band-aid; treating the symptoms without addressing the cause. It is much more important to get to heart of the matter, which usually consists of a treatment that is very straight-forward, and usually gets immediate results. Treatment for BPPV is commonly performed by MD’s, PT’s and audiologists. Once the location of the little crystals is determined using an in-depth evaluation, positioning maneuvers can be performed to move the little crystal out of the canal and back to the utricle, where it should be. Once back at home, it has a chance to re-adhere or dissolve. You may have heard of the Epley Maneuver. This is one such positioning maneuver for the most common type of BPPV. 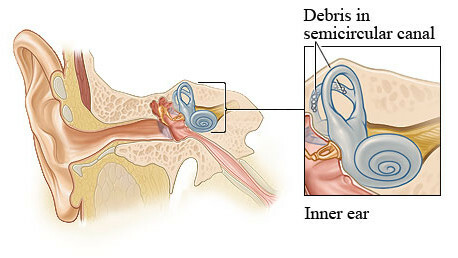 The Epley is used when the crystal is found, during the evaluation, to be located in a specific canal in the inner ear. Your therapist can help determine which maneuver is best for your specific needs, as there are different kinds, performed in different directions, based on specific need. From my experience, most of the time with this focused treatment, BPPV is gone within 1-3 treatments. It is very rare with the human body, to have a treatment work so quickly and effectively. Patients are very pleased with the quick results, and as a therapist, it is very gratifying to be able to help someone so quickly and effectively. Now, it is important to realize that all types of vertigo and dizziness are not generated the same. In general, if your vertigo or dizziness comes on without a significant change in the position of your head and seems to last for minutes/hours/days, then it is more likely that the reason is something other than BPPV, and most likely you will want to seek a different kind of treatment. We can help you to determine the cause here at the Fit Stop. PT’s are trained to treat impairments that affect one’s ease of movement and stability, and BPPV is definitely one of these issues. 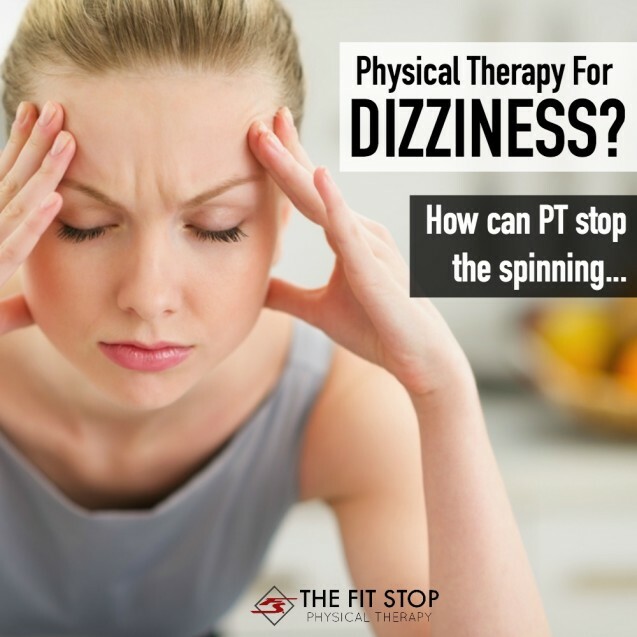 Remember, when it comes to dizziness, your PT might be your best option! Don’t hesitate to call or stop by if you suspect having BPPV or have any other issues related to dizziness or imbalance.